A city of natural beauty and outgoing personality, the Alberta provincial capital Edmonton boasts a unique charm. The North Saskatchewan River flows through the city and numerous bridges provide access to dozens of parks, golf courses and woodland trails popular with hikers, joggers and cyclists. And when it's time to be indoors, the biggest attraction by far is West Edmonton Mall. Edmonton is known as "Canada's Festival City" and highlights include Capital Ex (formerly know as Edmonton Klondike Days) and the Edmonton International Fringe Festival. 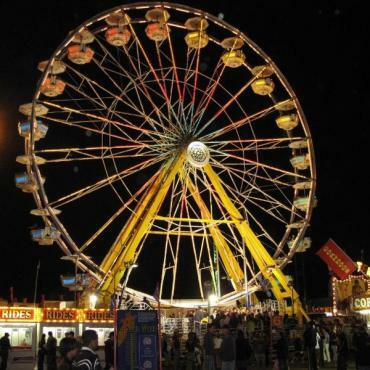 Capital Ex is a huge summer festival offering music, amusements and fun for the entire family. The Fringe Festival takes place in mid-August and is the largest fringe theatre festival in North America and second only to the Edinburgh Fringe Festival worldwide. Bon Voyage have been providing tailor-made travel and holidays to Edmonton since 1979. Have your Edmonton holidays expertly tailor-made by Bon Voyage to suit your exact requirements, with the quality and service you expect, and at great value prices. Alberta, where the sun shines for 17 hours each summer day, the mountains tickle the clouds and the northern lights dance in the endless sky. Built by the Grand Trunk Pacific Railway, this is the only luxury hotel in Edmonton and has an enviable position in the heart of downtown. Fresh, fun and funky, this ultra modern boutique hotel is an easy stroll to the lively downtown area of Calgary. Located in the heart of North America's largest shopping and entertainment complex, the West Edmonton Mall, this is one of the world's most unique hotels!The luxury themed rooms range from Hollywood Glamour to Roman Renaissance!